This weekend marks the 17th anniversary of the US coalition’s invasion of Afghanistan, triggering a war that has lasted four times as long as the first world war. Some 3,546 Nato soldiers have been killed in Afghanistan, 456 of whom were British, while a conservative estimate suggests 217,000 Afghans have died as a direct result of the fighting. During each of the past 17 years, Afghanistan has continued its descent into poverty, violence, environmental degradation and instability. It is one of the poorest countries in the world, and one of the most dangerous. Donald Trump has increased US bombing and, therefore, civilian casualties have risen too. 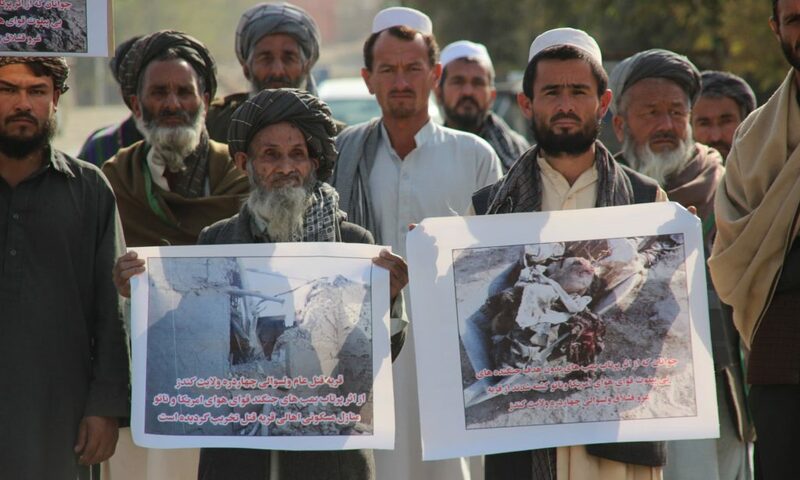 The July 2018 UN assistance mission in Afghanistan (Unama) report described fatality rates in early 2018 as being “the bloodiest on record”, at an average rate of 28 Afghan civilian casualties per day. Despite this, and the fact that neither the US nor the UK have a plan for Afghanistan, more British troops are joining 15,000 US and 6,000 other Nato forces in Afghanistan. Like all the other recent western military adventures, the war on Afghanistan has been a costly disaster, deepening the country’s crisis and helping to spread violence across the region and beyond. We demand that the UK government withdraws its military and instead concentrates on helping to bring stability and peace to Afghanistan. read on-line or access PDF here.